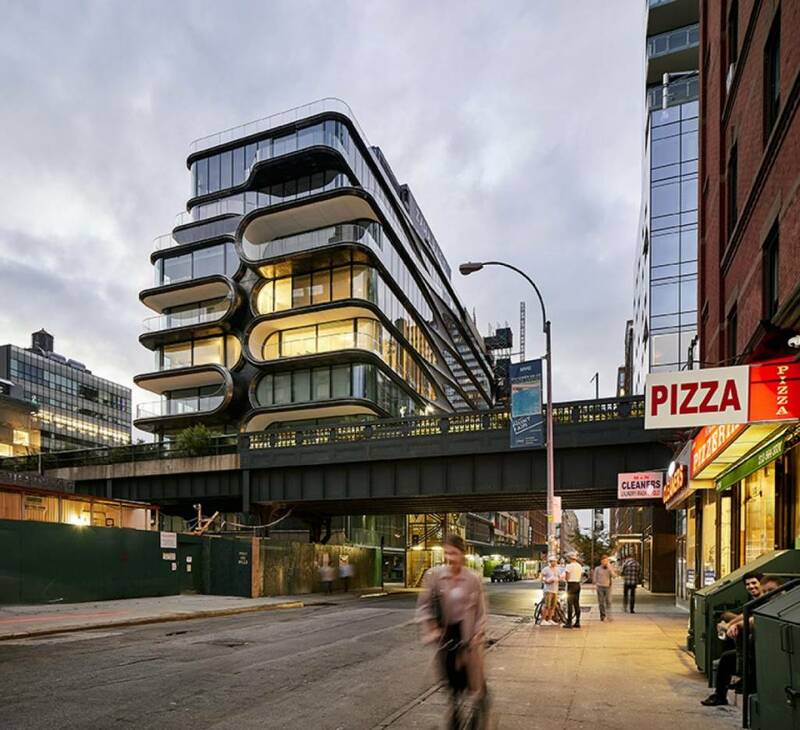 Designed by Zaha Hadid Architects, 520 West 28th in New York is among the shortlisted contenders for this year’s World Architecture Festival Awards. Several U.S. projects are among the shortlisted contenders for this year’s World Architecture Festival (WAF) Awards. Now in its 11th year, the international program received more than 1000 entries from 81 countries. The shortlist contains 536 entries across 31 categories. Shortlisted projects represent a variety of building types, including educational institutions, healthcare facilities, hotels, cultural/civic projects, and landscaping. Among the U.S. shortlisted projects is San Francisco’s Studio Dental II, which appears in the Health–Completed Buildings category. Designed by Montalba Architects, the facility is a redesign of a historical building in the city’s financial district, which features modern amenities and aesthetics, while simultaneously remaining true to its historic base. The Form4 Architecture-designed Innovation Curve in Palo Alto’s Stanford Research Park is cited in the category of Office–Completed Buildings. The project, which also made the shortlist in 2014 in the Future Projects category, is an open, flexible workspace design, which features sweeping metal curves that are intended as architectural metaphors for the ups and downs of exploratory research and development. Atlanta’s new Mercedes-Benz Stadium, designed by global design firm HOK, received mention in the Sport–Completed Buildings category. The 71,000-seat facility features eight triangular ethylene tetrafluoroethylene (ETFE) “petals” that move together along 16 individual tracks, allowing the semitransparent roof to open and close like the aperture of a camera. Sweetwater Student Housing (Florida) by Sordo Madaleno Arquitectos. The United States is among the top five countries entering WAF 2018, alongside China, Australia, the United Kingdom, and Turkey. The winners will be announced in November at the World Architecture Festival in Amsterdam. In addition to the awards presentation, the three-day event will include keynote addresses from architecture critic and theorist Charles Jencks; Caroline Bos, cofounder/principal urban planner at UNStudio; Aaron Betsky, president of the School of Architecture at Taliesin; and Sir David Adjaye, principal at Adjaye Associates, who recently spoke at AIA Conference on Architecture 2018 in New York City.